Golden Triangle Tour: Beijing, Xi'an, Suzhou & Shanghai help you to explore east china including beijing,xi'an,suzhou and shanghai,you will visit all the highlight of those city with your tour guide. Upon your arrival in Beijing, our Beijing local tour guide will meet you at the exit of the airport with a welcome signage "China Private Tour" and you will be escorted to your hotel directly. The rest of the day is free on your own to recover jet lag. If you get up very early in the morning and arrives at the Tian'an men Square before sunrise, you can go to see the dawn flag raising ceremony in the Square. And you can have a relaxing time in Tiananmen Square and take some photos. Continue your tour to the Forbidden City, you will notice the dominant color in the Forbidden City is yellow, as yellow is the symbol of the royal family. Roofs are built with yellow glazed tiles; decorations in the palace are painted yellow; even the bricks on the ground are made yellow in special process. However, there is one exception. Wenyuange, the royal library, has a black roof. Because it was believed black represented water in the ancient China which could extinguish fire. After lunch, then visit the Temple of Heaven, you are recommended to visit the Three Echo Stones, which is outside of the gate of the Imperial Vault of Heaven. If you speak facing the Vault while standing on the first stone, you will hear one echo. Standing on the second and then the third stone, you will hear two and three echoes respectively. Another interesting and famous place for you to visit is called Echo Wall owning special feature. The wall encloses the Imperial Vault of Heaven and its perimeter is 193 meters long. If you and your friend stand at the east and the west roots of the wall respectively and you whisper a word, then your friend will hear clearly what you say. Enjoy a simple dinner at a local Chinese restaurant and drive you back to your hotel. In the morning: One of the most important activities for the entire Beijing trip is the brief hiking at the Great Wall, Mutianyu section. No words can tell its amazement to the world. It is the must place you should visit in China. Its tremendous influence is well-known around the world. The Mutianyu stretch of the Great Wall is 22 kilometers long and has 22 watchtowers - the highest of which reaches an altitude of 540 meters above sea level, thanks to the mountain peak on which it is erected - making it the most densely packed section of the Great Wall as far as watchtowers go. Drive you back to your hotel after dinner at a local restaurant. After the tour of Summer Palace, drive you to Beijing train station for your train to Xi'an. Upon arrival, you will be greeted by our local tour guide with a sign "China Private Tour". Enjoy dinner recommended by our local tour guide and drive you to your hotel. You can have a rest and prepare for the trip next day. Today:Xi'an is a historical significant city, which used to be the imperial capital of several dynasties, and we will show you the splendid Chinese ancient history. Your trip in Xi'an begin in the Qin Terra-cotta Army Museum. Built on the site of the terra-cotta warriors and horses pits in the Emperor Qin's Mausoleum, the museum is located at the northern piedmont of Lishan Mountain 7.5 kilometers east of Lingtong County in Shaanxi Province and 37.5 kilometers west of Xi'an City. Excavation of the vault revealed thousands of terra-cotta warriors and their horses, an entire army designed to follow its emperor into eternity. The emperor's terra cotta army was found in three underground timber lined vaults. The life-sized terracotta figures vary in height, uniform, and hairstyle in accordance with rank, which will surely leave you deep impression. After lunch, you are recommended to visit Shaanxi History Museum to know more about the glorious history. The building covers a area of over 70,000 square meters and houses more than 370,000 historical items excavated from all over Shaanxi Province, including murals, paintings, pottery, coins, as well as bronze, gold, and silver objects. The modern museum was built between 1983 and 2001 and its appearance recalls the architectural style of the Tang Dynasty. Drive you back to your hotel after a simple dinner at a local Chinese restaurant. In the morning: Get up early and head to the Big Wild Goose Pagoda. Walk up the Big Wild Goose Pagoda's spiral staircase for an excellent view of Xi'an and countryside. Do this early or late in the day during the tourist season to avoid long waits. In ancient times, successful candidates in the highest imperial examinations always left their signature in the tower which was called Superscription of the Wild Goose Tower. In addition, many celebrities left poems or some other literature works. Then you can visit the Ancient City Wall. This wall represents one of the oldest and best preserved Chinese city walls, as well being one of the largest ancient military defensive systems in the world. Now it is 12 meters tall, 12-14 meters wide overing 14 kilometers in length with a deep moat surrounding it. You can walk, or even cycle on the wall. Its south gate is the most largest with a suspension bridge. Most of the tourists choose the south gate for sight- seeing. After lunch, you can get to the Forest of Stone Steles, which holds a big collection of steles in China. It is one of the centers of ancient Chinese stone-engraving classic. It is also the center of the works of art of noted calligraphers of past dynasties. The numerous standing steles likes a forest, hence the name " Forest of Steles"'.With a history of over 900 years, it is an art treasure well known at home and abroad. The last stop is Muslim Quater which offers a wide range of bargains. The Muslim Quater is the main gathering place of the local Muslim community and offers a great deal of exotic shops and savory restaurants. Xi'an is a city with a tolerant mind in religious culture and here you will find the harmonious getting-along of Buddhist culture and Muslim culture. Besides, you can taste various authentic local snacks here. The most sacred part in this community is without doubt the Great Mosque, featuring a great mixed architecture of Chinese and Arabic styles. You may happen to meet with some Muslim followers coming for worship. After dinner nearby the Muslim Quater and you will be taken back to your hotel. In the morning, transfer you to Xi'an Xianyang international airport and you leave for Shanghai by flight. After landing, our tour guide will pick you up at the exit of the airport with a welcome signage "China Private Tour" and drive you to the hotel immediately. 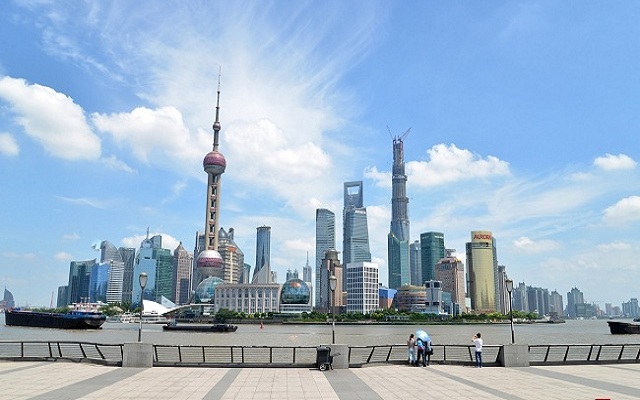 And then you will cross Huangpu River and visit famous Bund area, which is teemed with the futuristic, avant-garde buildings - Oriental Pearl Tower, Jin Mao Building, Bank of China Tower. Then visit Shanghai Oriental Pearl TV Tower. Completed in 1995 to a highly innovative design, Shanghai Oriental Pearl TV Tower has become a symbol of excellence in architecture and is a favourite sight for tourists in Shanghai. At 468 meters, it is the third tallest TV and radio tower in the World. On the TV Tower, to have a bird's eye view of Shanghai City. After lunch, you are recommended to visit the renowned Shanghai Museum. The Shanghai Museum is a museum of ancient Chinese art, situated on the People's Square in the Huangpu District of Shanghai, China. The museum has a collection of over 120,000 pieces, including bronze, ceramics, calligraphy, furniture, jades, ancient coins, paintings, seals, sculptures, minority art and foreign art. The Shanghai Museum houses several items of national importance, including one of three extant specimens of a "transparent" bronze mirror from the Han Dynasty. Drive back to your hotel after dinner. In the morning, drive you to Shanghai train station and you'll take bullet train to Suzhou, it takes around 25 minutes for one way. After arrived in Suzhou, your trip begins in the famous classical garden-The Lingering Garden. The garden is famous for the exquisite beauty of its magnificent halls, and the various sizes, shapes, and colors of the buildings. Similar with other renowned gardens in Suzhou, the Lingering Garden seeks to create stunning natural landscapes within limited space. In the garden, domiciles, ancestral temples and private gardens are included. Buildings, trees, and flowers blend harmoniously with their surroundings. After the tour in the garden, you will visit the Panmen Gate next. Pan Gate is part of the ancient city wall built in 514 BCE that surrounded and protected Suzhou. It is so famous for its complex of both land and water city gates that many times, people directly refer to it as the "Land and Water Gate". In order to attract more tourists, in recent years, the city of Suzhou has renovated the old wall and built many other attractions around the original gate in the Pan Gate Scenic Area. Later, you can appreciate the various delicate collections in Suzhou Museum. The new museum housesover 30000 cultural relics --- most notably for excavated artifacts, Ming and Qing Dynasty paintings and calligraphy, andancient arts and crafts. The new Suzhou Museum is said to be the last design of the well-known architect, Mr.I.M.Pei, in his career. Therefore, not only does it become a monumental building in Suzhou, but also a significant construction, merging the traditional Chinese architectural design with the future. The last stop is Suzhou No.1 Silk Mill, which has a long and rich history of silk culture, including mulberry tree and silk worm cultivation and turning raw silk into beautiful fabric. Suzhou's climate and soil are perfect for silk production, and the city has been a center of China's silk trade for many centuries. Enjoy dinner at a local Chinese restaurant, drive you back to train station and you can back to Shanghai by train. Our driver in Shanghai will drive you back to your hotel once you arrived. Today: Free on your own in the morning to explore the city with your camera. Drive you to Shanghai international airport you fly back to your home. Then your 10 days trip come to the ends. Have a pleasant trip!